Few people in the world other then United States may know this but California had banned gay marriages due to a 1996 Federal Law. The Supreme Court of the United States of America on Wednesday struck down the 17 year old law called 'DOMA.' 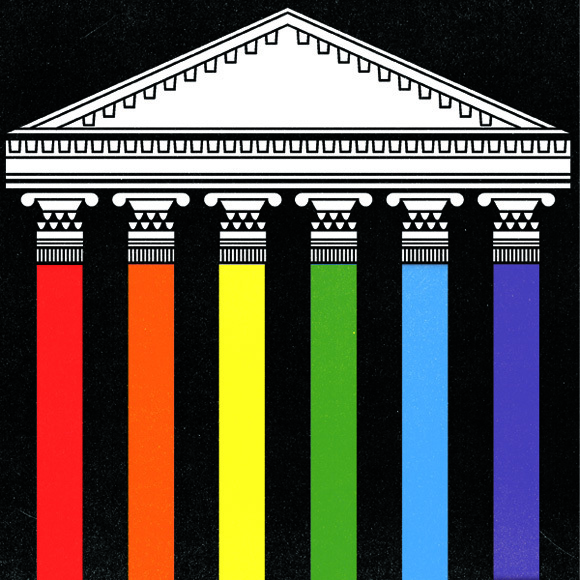 The US Supreme Court overturned DOMA in a 5-4 vote. Writing for the majority, Justice Anthony Kennedy found the act violated the Fifth Amendment's due process clause. Passed in 1996, DOMA defined marriage as a union between a man and a woman for the purposes of federal law essentially making a gay marriage illegal act under the provisions. 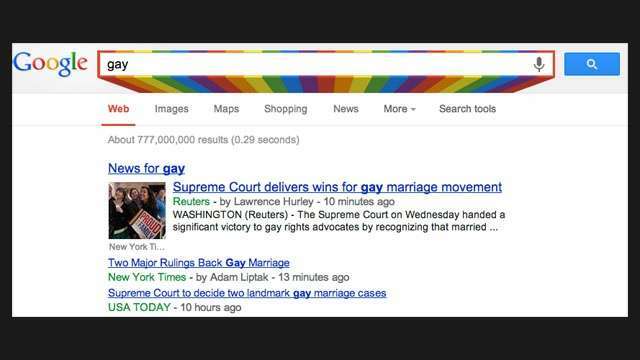 And the tech giants welcomed the repeal of DOMA in their own style. 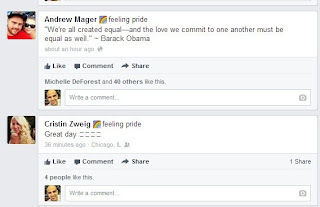 Facebook now lets users can show their support for the decision by clicking on the a rainbow icon from the smiley images that appear just below their status update box. 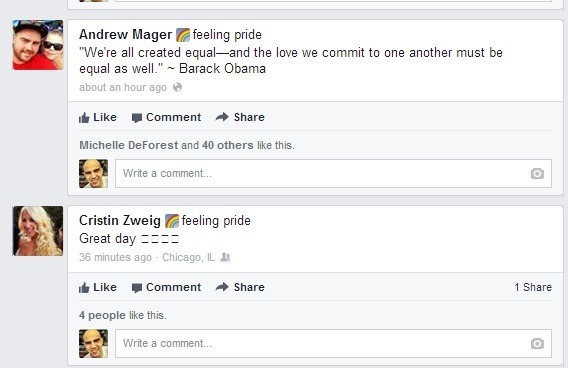 The rainbow is meant to denote gay pride and hence the emoji will indicate that the user is part of the growing world gay pride order. According to the report, the rainbow icon as well as the words "feeling pride" will appear after selection next to a user's name. In some cases, the additions will appear next to the user’s status update message. Google is also playing its part is showing off the gay pride but it is doing a bit more. It lets you be the part of the occasion by dedicating a full fledged Easter Egg to support the DOMA decision. To view the easter egg, user will have put in related keywords in the search bar, such as "gay marriage", "homosexuality", "domestic partnership" or even "gay" and low and behold the Google’s search box transforms and features the iconic LGBT rights movement’s rainbow colouring. You can also be part of the gay pride movement by showing solidarity to the cause. Enter the rainbow emoji in your Facebook page every time you use it and check out the latest easter egg from google.com.